This section will answer many of your questions and help you prepare for your stay in the desert. This is a rustic wilderness camping environment. We will be building temporary communal structures and participants are responsible for their own personal camping gear. Please review this section carefully so you can plan accordingly. The more prepared you are, the more fun you can have! This is a wilderness environment in the Southern California desert, about 4 hours drive from Los Angeles and 8 hours from the Bay Area. There are limited facilities (i.e., no flush toilets or running water, and no permanent structures). We expect the occasional car or hiker to come through, but we will be relatively far from civilization. Can’t find what you’re looking for? Check out our Frequently Asked Questions. We provide your water. You bring your lunch (except for Shabbat). We will be providing a hearty breakfast and dinner every day, as well as light and protein rich snacks throughout the day. Kiddush (blessing over wine) and Hamotzi (blessing over bread or matzah) are traditionally said at the beginning of lunch on Shabbat. On Saturday morning, we will serve a cold breakfast. Early afternoon, we will serve brunch and invite everyone to share this special opportunity to bless our Shabbat meal as a community. 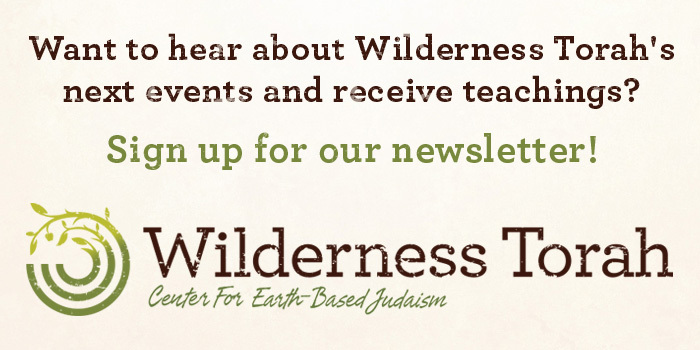 Back by popular demand, Wilderness Torah will be providing a water truck to meet all our communal cooking, dishwashing, and drinking needs. We recommend you bring 1–2 gallons to keep at your tent for personal use through the festival. Why Aren’t We Providing Lunch? Note: You will need to bring lunch items for Friday and Sunday only. We will be providing Shabbat lunch on Saturday. Remember, most people eat less in the desert heat, so you probably need less than you think. If you’d like to cook, feel free to bring a small stove, but we don’t feel it’s necessary. We also encourage to minimize food packaging in efforts to reduce non-food waste. You must store your food in a container like a cooler and keep it by your tent. Refrigeration will not be available. 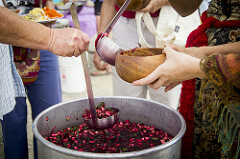 All food served by Wilderness Torah is kosher and kosher for Passover, except for a few small exceptions, which will be explicitly stated onsite. We will be serving kitniyot (beans, seeds, legumes) with a number of meals and there will always be kitniyot-free options as well. Learn more in our FAQs. While we invite you to be in the Passover spirit, the food you bring does not need to be kosher as it will not be stored in the kitchen and you will use your own personal dishes. We provide bins for recycling and compost. We do not provide communal garbage bins. Please take out what you bring in! 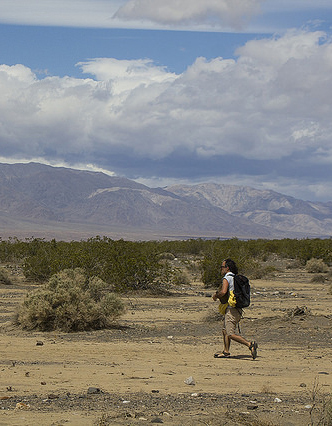 Our Passover journey takes place in the Panamint Valley of the Mojave Desert, near Death Valley National Park. The location is approximately 200 miles northeast of Los Angeles (about 4 hour drive) and 500 miles southeast of the San Francisco Bay Area (about 8 hour drive). The site is near the ghost town of Ballarat. If you are considering flying, the site is about four hours from Los Angeles’ Ontario airport (ONT). To reduce our travel impact, we have set up a festival carpool signup sheet that you’ll have access to once registered. Please visit this page as soon as possible to register as a driver or passenger and request a ride. Cars should be in good working order and capable of traversing dirt roads. The road between our site and Surprise Canyon, an oasis about 3 miles west of our site, is especially rough and rocky. If you are coming from another location, map your location to this intersection in Ballarat and follow the directions above from Ballarat. Dehydration: The air is very dry. Even if you don’t feel hot, dry, or thirsty, it’s important to KEEP DRINKING WATER; at least 1 gallon per day. The hearth will also provide electrolyte powder for you to add to your water. Use it! Hygiene: Hand-washing is very important! For the safety of everyone, please wash your hands EVERY time AFTER toileting, BEFORE entering the kitchen/food areas, and BEFORE every meal. Uneven Terrain (slips, trips, and falls): Take a breath, stay aware, and slow down — that’s what we’re here for. 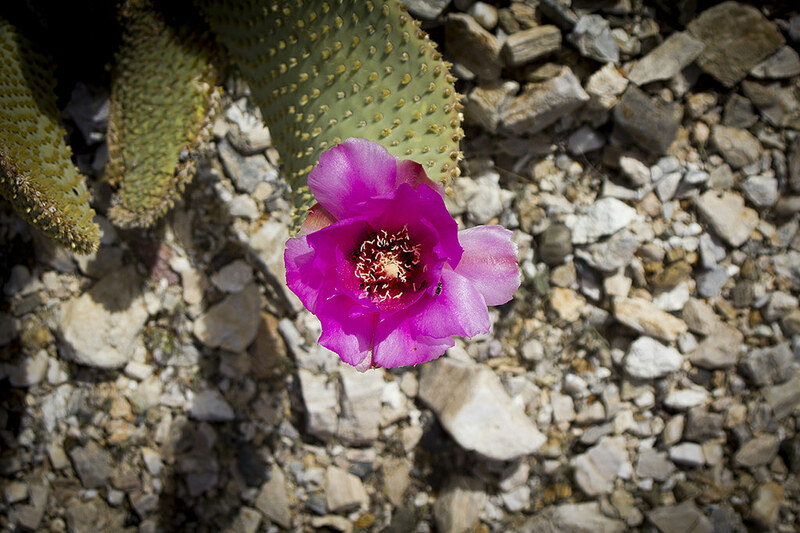 Sharp Cacti: There are not many cacti at our site, but it is the desert, so they are around. Be aware of many varieties and sizes. Low Visibility at Night: Bring a flashlight and/or headlamp and extra batteries. Weather: Bring warm layers and bedding (preferably not cotton, as it retains moisture). Tie down your gear so it doesn’t blow away in strong winds. Remote Location: Plan to arrive in the daylight and bring everything you need with you. Camping: Do not make camp in a dry creek bed. Flash floods develop quickly in the desert. Below you’ll find a list of personal camping gear as well as communal and fun stuff to bring. We will camp relatively close to our cars, but be prepared to carry your things a short distance. It’s a good idea to label your gear with your name, since many people have similar looking items, and we always have a big lost and found pile at the end. Your own plate, bowl, mug, (wine cup, napkin), and utensils. Please label these or they will end up in the communal dish stash at the end! Costumes! Fun, funky, festival attire for celebrations! Decorations for the Tent of Meeting and other spaces — tapestries, rugs, pillows, pretty things that hang etc. Books for the Beit Midrash (study lounge) on various themes: Passover, Liberation, earth-based living, social justice, Jewish culture and religion, traditional Jewish texts, such as the Talmud, Mishna Torah, or siddurim (ideally with English). Please add your book contribution to this Google doc before bringing them to the desert. Make sure to write your name and number on the inside of your book. Wet or damp cotton is associated with hypothermia — it continually wicks heat away from the body. Other fibers, such as wool and synthetic fleece insulate even if they’re damp or wet, and are therefore preferred for outdoor recreation and especially wilderness use. 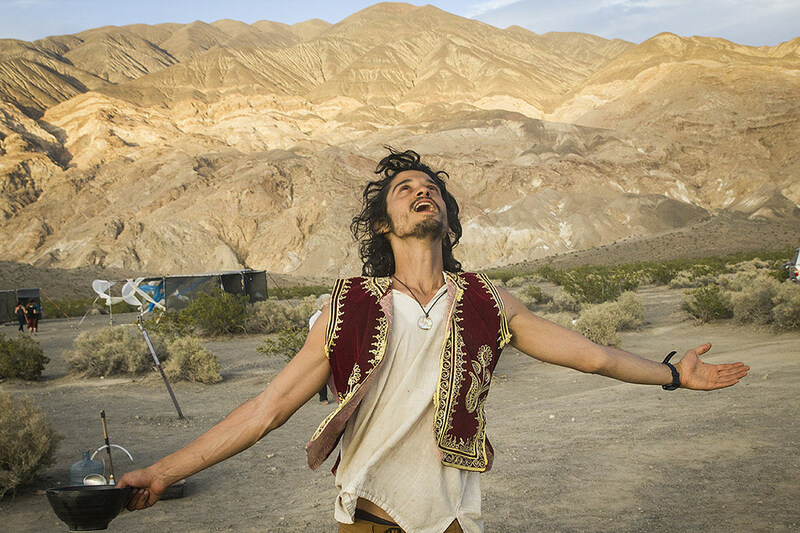 However, loose cotton clothes (old school desert attire) are great for lounging around camp during the day.